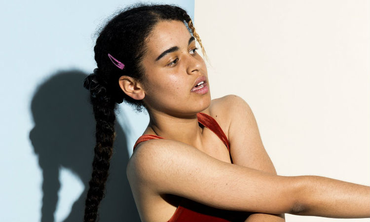 DIY post-punk artist Sneaks plays the Sunflower Bar on May 4. Based in Washington DC, Eva Moolchan's minimalist approach sees her rebel against over-embellishment. She uses only a drum kit, bass & whispered vocals - have a listen to her new album, Highway Hypnosis on Bandcamp, which circles the hip-hop, pop, RnB & punk spheres without ever sounding constrained to any of them. Tickets cost £8 from CQAF. Doors open at 8pm.